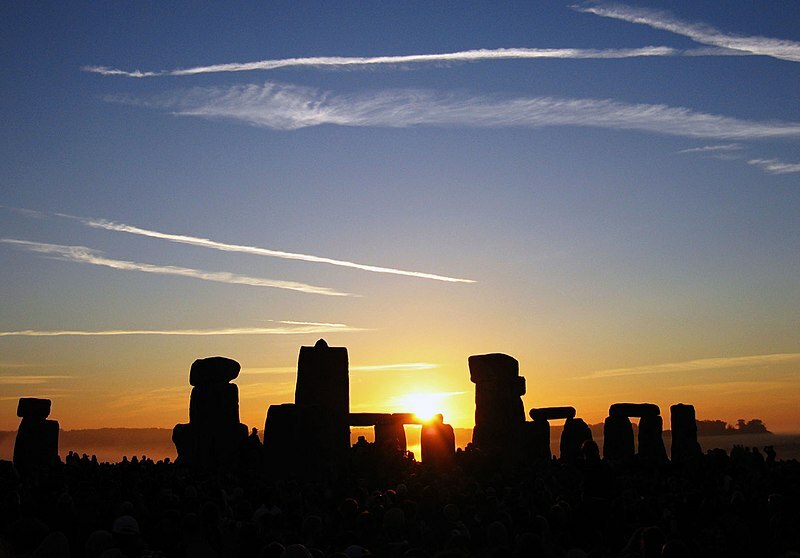 Today marks the Summer Solstice. Who wouldn’t love to welcome summer at Stonehenge? This is the longest day of the year, and the start of summer. It’s funny—it’s always struck me that we should mark summer from the days getting longer, not the days reaching their longest and then starting to wane. Summer is not my favorite season. I love tomatoes, yes, and green leaves and watermelons and fireworks and lightning bugs and the smell of fresh-cut grass and all the other things that come with summer. But I don’t like heat. I much prefer a crisp autumn evening or that first morning in spring when you realize the birds are singing again. Still. It’s the halfway point in the year. How far have you come since the Winter Solstice last December? I, obviously, have gotten married. I’ve seen my friends welcome new life into the world. I’ve worked hard, played hard, and embraced new people in my life. Those are all good things. And think: this is just the halfway point. What have you half-finished? I have querying and publication decisions ahead of me, and more life decisions, I’m sure. And this is just one year amid all the years. What else lies ahead? But today isn’t the day to think about those things. Today, you should walk outside and feel the sun on your face. Look at the growing things around you: really look at them. Are there tomatoes in your garden? Is the grass by the highway turning brown? It’s time to notice the fullness of life. Have a cook-out with your friends. Watch the sunrise or the sunset. Relive your childhood and run through the sprinklers. Let the summer into your heart. Beautiful post, Kristin! How does it feel being married? 🙂 I’m a little sad that the days are already getting shorter from here on out, but we have many, many days of sweltering summer heat left here in the south. Can’t believe half the year has already passed us by! Very lovely post – I’ll have to give the answers some thought. Hope married life is treating you well. xo.